Something weird is going on around here. I didn’t get on the computer at all last night after the gym, instead I finally watched last week’s episode of The Bachelor. I also went to bed at 11:00pm. This morning STUFT Daddy is sound asleep in bed when he’s usually out of the house before 6:00am. Kitty, well, he’s his usual self staring me down at the moment, but it must be a special day because he doesn’t have any eye boogers. I also think I’m going to treat myself to my STUFT salted caramel mocha a little early this morning and have it right now before the craziness of my day begins. I can’t decide what to post today. I have a little fun 20 minute treadmill workout, another green muffin recipe or another chia recipe. I’m also not sure what exactly is on the agenda today besides teaching a couple classes and a much needed hair appointment. I do know this is the coolest birthday present ever from my sister-in-law and my nieces and nephew. I’ll save my recipes for another post later this week. a fun 20 minute treadmill workout. This is my go-to treadmill workout when I want to do intervals, but have very limited time. I posted a very similar 30 minute treadmill workout on here a long time ago. I’ll leave the boxes blank so you can fill it in yourself (since you’ll improve and increase your MPH as the more you do it). This is great when you’re pressed for time. It goes by really quickly. I also like to do it to start out a treadmill workout and then just keep a moderate intensity pace for a couple miles afterwards. Here’s a little overview of the workout. It consists of a few intervals that start out longer and get shorter each time. Your job is to increase your MPH by .2 each time you do a speed interval. I put the speed intervals in bold. I think the table is pretty reader friendly, but then again, I can’t think straight this morning. 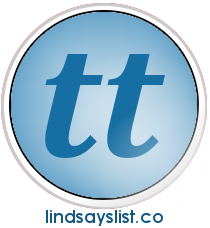 It’s Tuesday Trainer day also at my friend Lindsay’s blog. Check out some cool moves she’s got going on over there. The boys and I are there with a less than mediocre video of a stability ball pass we taped late last night. Okay, now I really don’t know what’s going on because STUFT Daddy just woke up and offered to go get me some Starbucks. I’m going all out and just told him I wanted a sugar free soy mocha. Today is going to be a good day friends! It always is with these guys around. Don’t forget to take Flat Kitty to work and email me your pictures (or post them on my Facebook page). oh, and… OH MY STARS those kiddies are too dang cute! Thank you lady! Thinking of you!!!!!!! Hugs! Thanks! That hat makes me smile! 🙂 Too bad it was almost 80 degrees here today. ha ha! Oh a Toque???? Never heard that before. HAPPY BIRTHDAY, my dear friend!! Love you! Here’s to many, many more years of fitness and fun! Thank you Shannon. I feel old. 🙂 Ha ha! What a great year for you– full of so many accomplishments and new things! Hope all your wishes come true this year! Happy Birthday! Love the GIRAFFES on the boys’ shirts…way to go…love all of you from the bottom of my heart. Happy Birthday to you sweet girl. Thank you June!!! Sending you BIG hugs from all of us!!!!!!!!!!!!!!! Happiest of birthdays lovely lady!! Mine was on the 30th– Looks like we’ve got an official aquarian bond goin’ on! Happy belated birthday Kristin! So sorry that I missed it, but I can’t seem to keep on top of my blog reading with my new student teaching internship. Hope it was awesome!